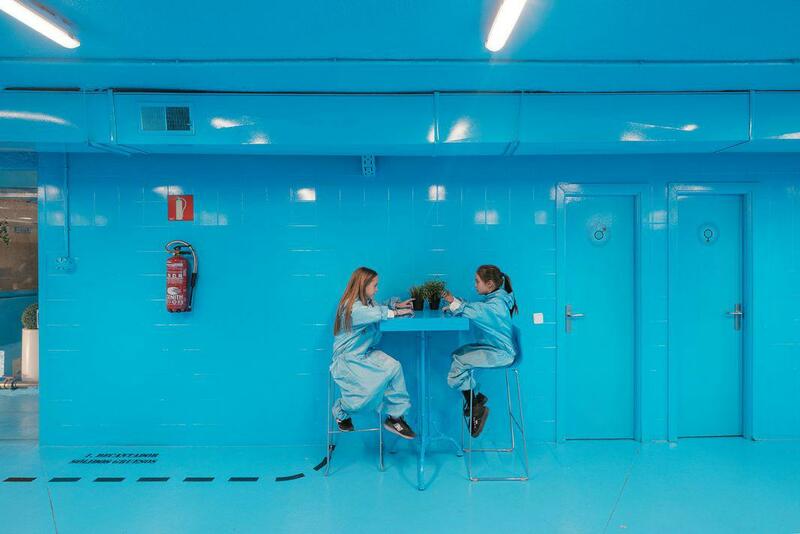 Lina Toro redesigns Burbucar, a modern, stylish car wash in Madrid. 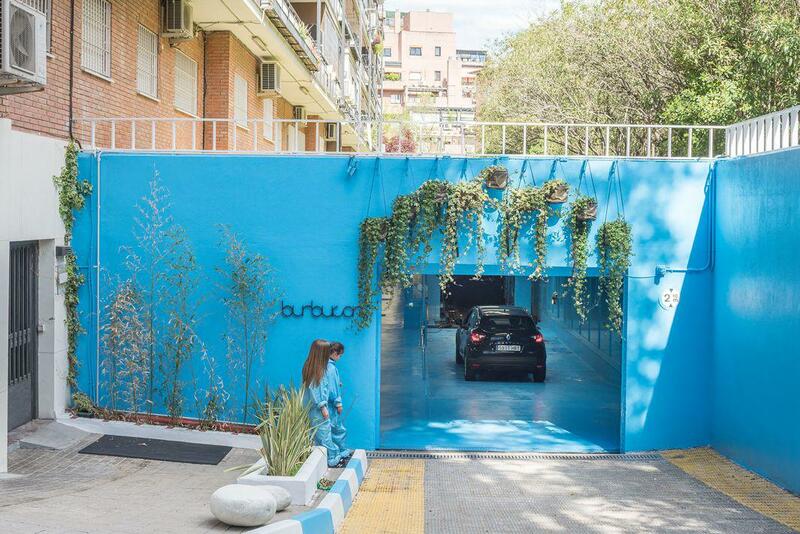 Madrid-based architect Lina Toro revamped the interior of Burbucar, an established car wash on Costa Rica Street in Madrid. 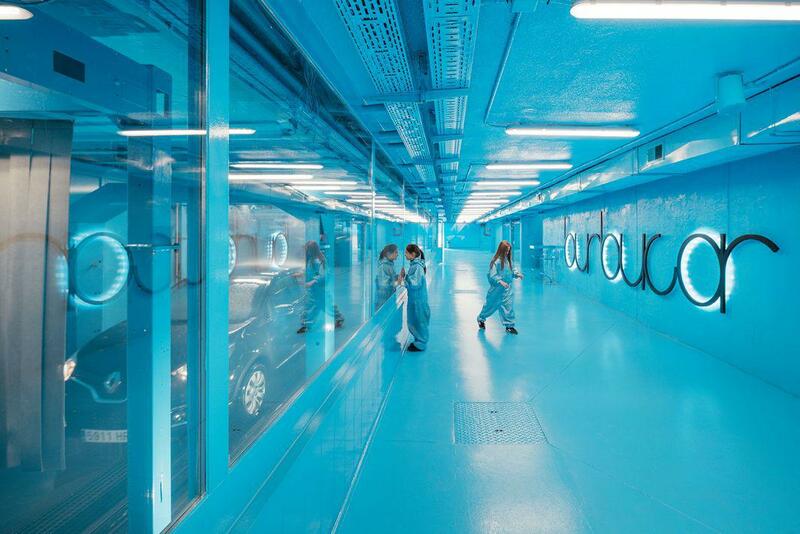 The architect said in a project description that Burbucar “uses clean and innovative processes” and wanted to “visualize its philosophy by means of a renewed image.” The architect and her team managed to execute the renovation in a month without interrupting business at the busy car wash, which services 80 cars a day. The vibrant design emphasizes transparency with an open plan that allows customers to watch their cars being lathered up from big picture windows. 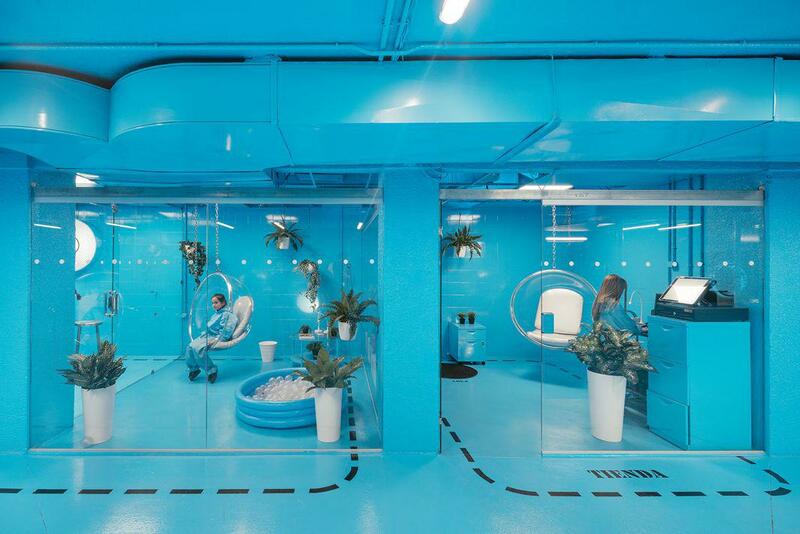 A “purifying room” contains giant water tanks that allow 80 percent of the water to be recycled. Waiting spaces are outfitted with sleek modern furniture like a clear plastic hanging bubble chair and cheered up with plenty of indoor plants. Behind The Scenes. Not Only a Car Wash from linatoro.arch on Vimeo. *Update, May 26, 2016: This post has been updated to include the name of the video producers.